Eric is an actor, photographer and life-long poet. He has been performing in plays since his debut as Jesus in “The Passion of the Christ” at age 13. Almost convinced he wanted to be a doctor while attending Northwestern University, he finished all pre-med requirements before coming to his senses and finding his was back to the arts. Eric has starred in plays in Chicago, Los Angeles and Scotland. 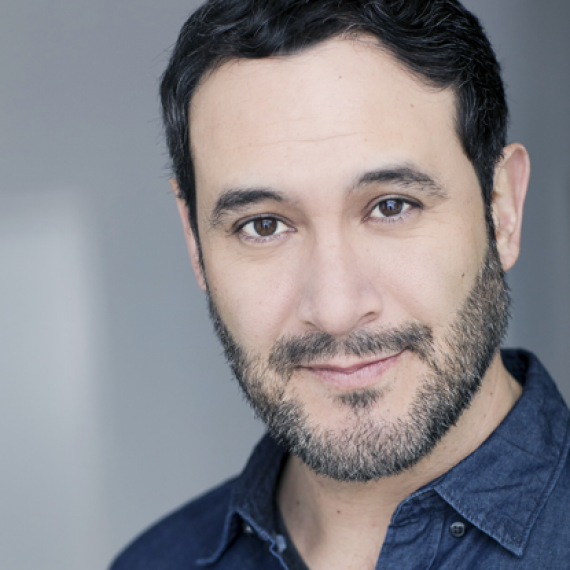 He is a two year Meisner graduate and in 2012, finally found his home at AMAW. He began teaching at the Studio shortly after hanging up his hat as a private therapist for children and adults with special needs following a 4 year stint. Eric has continually worked professionally as an actor in features, shorts, theatre and commercials for many years. He also continues his work in photography with actors, families, on personal projects and sometimes, National Geographic. Eric believes that storytelling and moving an audience is the privilege and responsibility of the artist. When done with fearlessness and truth, we as artists can affect change in this world. Eric uses all of his experiences as an artist and human to help guide his students to finding their truest selves. He is honored to be teaching at AMAW.